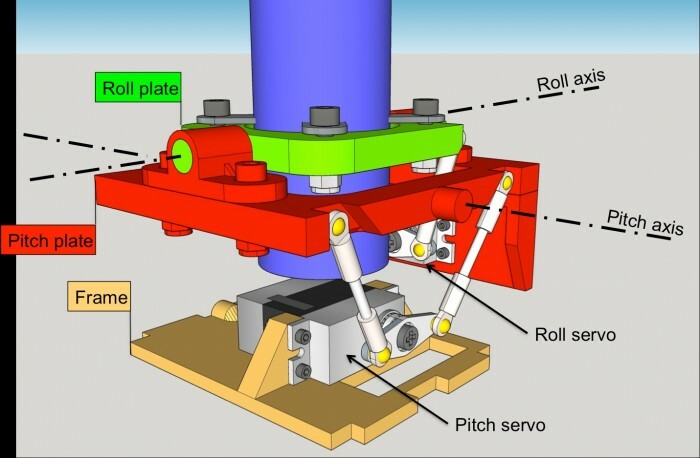 This patent is a system of plates that support a contra-rotating motor. Yaw control is done by changing the rotational speed of the upper and lower propellers. Two servos tilt a roll and a pitch plates in order to stabilize and control the drone. The mini drone market is exclusively led by multirotor, especially qyadcopter. Nevertheless, these designs are expensive (at least 3-4 brushless motor with propeller and controllers), constrained in size (at least a square with the edge the size of one propeller) and limited in efficiency (large props = large frame = weight+size). - in efficiency (both coaxial props are not constrained by the others). 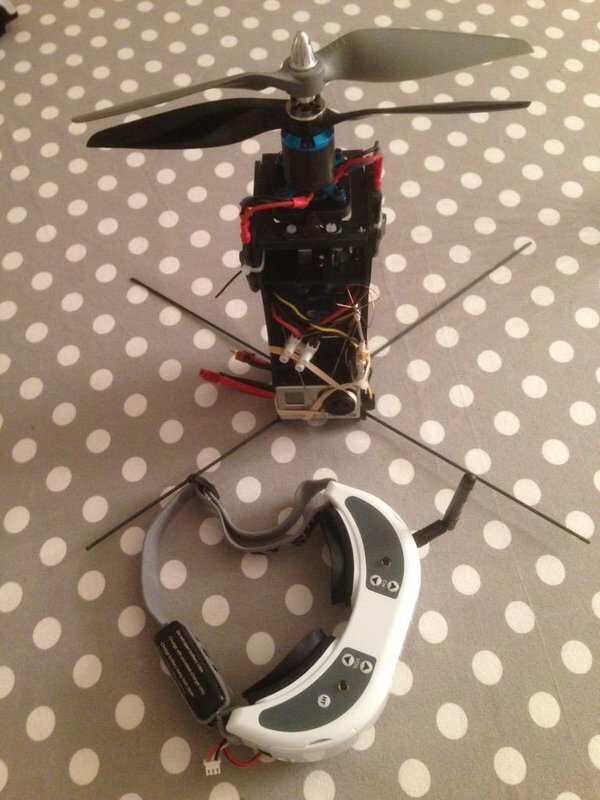 This design is a cheap way to make a very compact drone (pocket size) and to extend the flight time (by attaching very large so efficient props) which is very low in the current multirotor designs. I'm looking for every kind of partnership from an outright sale to a license with royalties or a mix of both. I already develop the system (flying prototypes) but don't have any time to industrialize a making process. The market potential of this patent is huge because lot of people looks forward a pocket-size drone with long flight time. 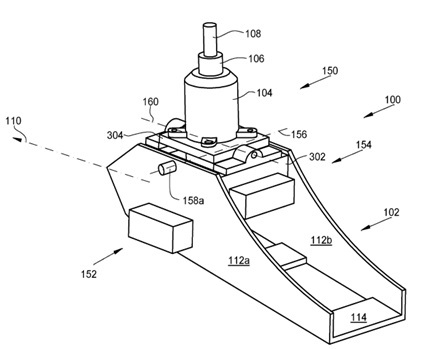 Page created at 2019-04-24 18:18:05, Patent Auction Time.